Algiers, Algeria – A breakaway faction within Algeria’s ruling party has backed the army chief’s call for President Abdelaziz Bouteflika to be declared unfit to rule the country, even as several opposition parties and protesters denounced the powerful general’s remarks as an attempt to stifle their movement. Following weeks of youth-led anti-Bouteflika protests, Lieutenant General Ahmed Gaid Salah on Tuesday suggested that the Constitutional Council invoke Article 102, which could lead to Bouteflika’s impeachment on health grounds. “We call upon all National Liberation Front (FLN) activists to support General Gaid Salah’s proposal,” a group of dissident politicians within the party said in a statement on Wednesday. Ouyahia said in a statement he “recommended the resignation of the president in order to facilitate the transition period within the framework of the constitution”. The former prime minister’s National Rally for Democracy party is a member of the ruling coalition, which is dominated by the FLN. Ouyahia also urged for the “swift formation of a new cabinet”. Meanwhile, Abdelmadjid Sidi Said, the head of the influential General Union of Algerian Workers (UGTA) and a staunch Bouteflika supporter, also withdrew his backing for Bouteflika, endorsing the army’s call for his dismissal. “The UGTA welcomes and acknowledges the call of Lieutenant General Ahmed Gaid Salah to the application of Article 102 of the Constitution,” Sidi Said said in a statement on Wednesday, the latest blow to Bouteflika’s hotly contested leadership. According to Article 102, the constitutional council is allowed to investigate the health of a president, after which it could proceed to declare the person’s incapacity to carry out their duties. The head of the upper house is then called upon to govern as caretaker president for a period of 45 days. If Bouteflika is still deemed unfit to resume his duties, the Senate’s president has three months to organise a new presidential election. “To resolve the crisis right now, the implementation of Article 102 is necessary and is the only guarantee to maintain a peaceful political situation,” Salah, the army chief and a confidant of Bouteflika, said in a televised address on Tuesday. “It is necessary, even imperative, to adopt a solution to get out of this crisis that responds to the legitimate demands of the Algerian people, and which respects and adheres to the constitution and safeguards the sovereignty of the state,” he added. But Salah’s call was rejected by several major opposition leaders, who have backed the anti-government uprising, as well as protesters. “It is too late to enforce Article 102. This should have been done years ago, and not one month before the end of the president’s fourth term,” Mustapha Bouchachi, a prominent lawyer, told the Media. “The Algerian people won’t accept that Abdelkader Bensalah, the president of the Senate, who has played a significant role in the corrupted system over the past decade and is, among others, responsible of electoral fraud, to take over from Abdelaziz Bouteflika and oversee the transition,” said Bouchachi. “None of them should have a word to say about the future of Algeria,” he said, calling for the formation of a “government of national unity” to assist in the transition period. 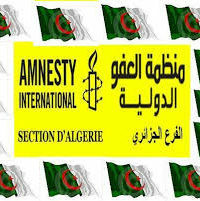 Meanwhile, members of Algeria’s Workers’ Party (PT) announced on Wednesday their collective resignation from parliament, in the first such act since the political crisis began on February 22. “We will not give credit to what appears to be strategy to bypass people’s will,” Ramdane Tazibt, a former PT member of parliament, told Al Jazeera while warning against the army’s “dangerous intervention in politics”.
] This is a political manoeuvre of a faction within the regime,” Belabbas said. The RCD called for the dissolution of both houses and the constitutional council; the establishment of a collegial presidency to oversee the transition, and the formation of a government of national salvation to manage the state’s day-to-day affairs.